How does a drummer get ready for a recording session? 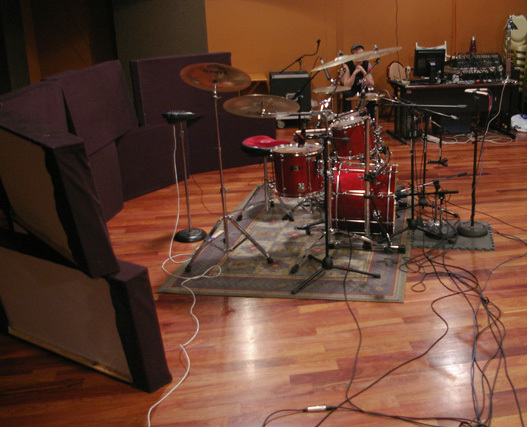 The best sound engineers on earth can testify that it is quite a challenge to get the Bonham or Chad Smith sound! However, that is no reason to be depressed. Even without a big production, there are ways to get fit and ready for a recording session. The main problem when recording an instrument is that the sound depends on many factors that interact in unexpected ways: musician's skills, instrument quality, setup, recording room and gear, microphone position, signal processing when tracking and mixing... Here we'll try to focus on those factors where a drummer can have a more direct impact on. Recording is always a special situation that can put anyone under pressure and make them crack under the strain. Many professional drummers state that they usually play at 30% of their capabilities during important recording sessions. Having that in mind, prepare a recording session as well as possible in terms of music, of course, but also prepare yourself in terms of physical shape with a long night's sleep or a wild party evening, depending on your philosophy. And whatever happens, don't forget a full warm-up before recording to start the session properly. 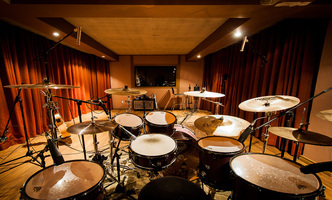 Every drummer has his personal touch and playing dynamics, which they cannot change without losing their identity, but many studio drummers state that it's a mistake to play too loud to get a powerful sound. Contradictory? In any case, playing with average loudness allows you to emphasize accented notes as well as ghost notes. 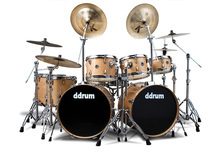 It is obviously highly recommended to have an instrument with drumheads in good shape (don't hesitate to change them before a recording session) and properly tuned (see the Getting Started article on this topic). Also check if all lugs are tightened so that they generate no rattle, especially the bass drum. By the way, it is also a good idea to do a mechanical checkup of your hardware: grease the pedals, tighten the wing nuts of the cymbal stands and the different clamps. Gaffer tape can come in very handy to keep things tight and quiet during recording sessions. Also check resonances caused by the strainer of the snare. In this regard, take special care with the tuning of the mid-tom next to it and/or push the tom slightly back (as long as it doesn't limit your playing). The ambiance of the room is crucial to the final sound, just like spices are essential to the taste of food. So make your last settings (tuning, damping, drum position in the studio...) depending on what you hear in the recording room, always keeping in mind that this will be one of the main characteristics of your sound in the final production. This means you must come as close as possible to the sound you want without counting on future (and unlikely) miracles during mixdown.